The Sterner Financial Group is a wealth management firm based in Chattanooga, Tennessee, that specializes in guiding medical professionals and business owners across the United States towards achieving financial independence. OUR PURPOSE is to make a substantial impact on your financial wellbeing throughout your lifetime and on the assets you leave behind. OUR MISSION is to simplify your financial life and help you see the big picture more clearly. From the very first meeting and for years to come, our team members will advocate for your vision, by helping you get organized, and identifying strategies to make that vision a reality. As your financial partners, we will walk with you through the challenges and opportunities that are inevitable as the world—and your situation—changes. OUR APPROACH is comprehensive, personalized, and long-term. We want you to leave our office with the peace of mind that comes from knowing that your financial matters are in the hands of advisors you know and trust. John Preston Sterner uses The Sterner Financial Group as a marketing name for doing business as representatives of Northwestern Mutual. The Sterner Financial Group is not a registered investment adviser, broker-dealer, insurance agency or federal savings bank. Northwestern Mutual is the marketing name for The Northwestern Mutual Life Insurance Company, Milwaukee, WI (NM) (life and disability insurance, annuities, and life insurance with long-term care benefits) and its subsidiaries. 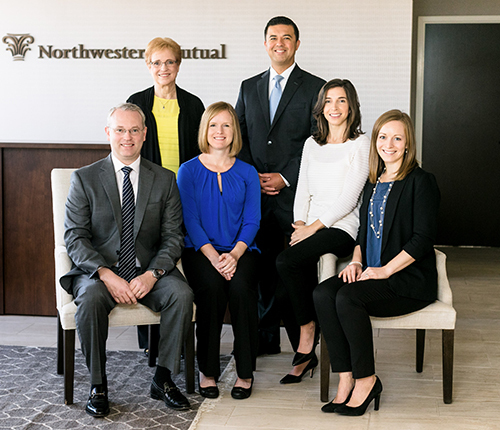 John Preston Sterner is a Representative of Northwestern Mutual Wealth Management Company® (NMWMC), Milwaukee, WI (fiduciary and fee-based financial planning services), a subsidiary of NM and federal savings bank. All NMWMC products and services are offered only by properly credentialed Representatives who operate from agency offices of NMWMC. Representative is an Insurance Agent of NM and Northwestern Long Term Care Insurance Company, Milwaukee, WI, (long-term care insurance) a subsidiary of NM, and a Registered Representative of Northwestern Mutual Investment Services, LLC (NMIS) (securities), a subsidiary of NM, broker-dealer, registered investment adviser and member FINRA (www.finra.org) and SIPC (www.sipc.org). John Preston Sterner is primarily licensed in Tennessee and may be licensed in other states.